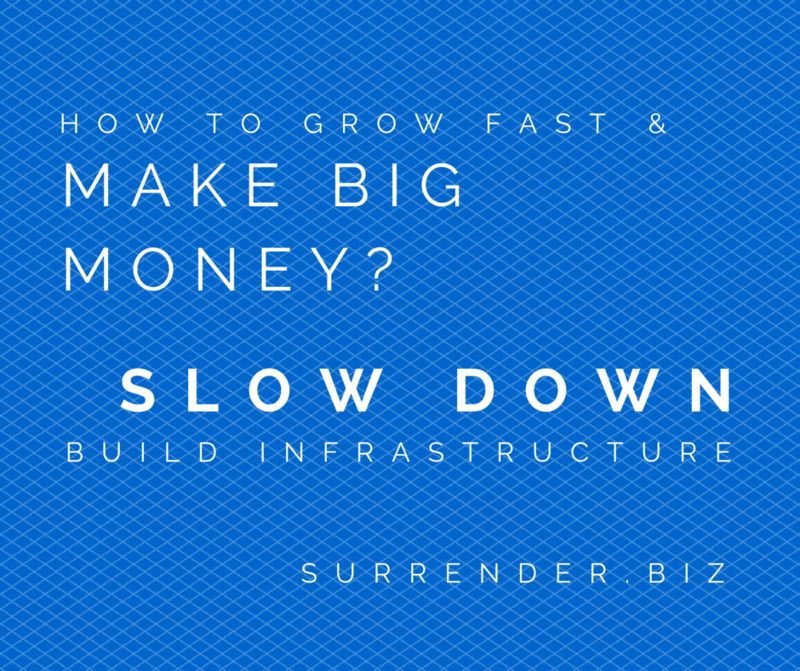 Until infrastructure is in place, you can't afford to grow. The first thing that came to mind was failure to put the infrastructure in place that’s required to get them where they want to go. There is great temptation to put all the money directly into the restaurants. It’s a far superior strategy to find the right balance between funds and energy earmarked for the units and for infrastructure. In the last six months, I have had leaders in two-high growth groups say, “We really want to stop and solve this problem. It could potentially cost hundreds of thousands of dollars in the short term if we don’t, but all our money is committed to the units.” It’s a short-sighted view guaranteed to impact revenue and profitability, retard asset value, and could even endanger the success of the whole organization. 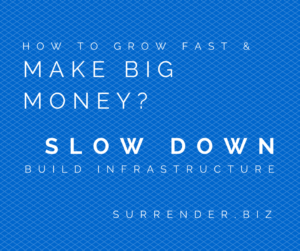 Infrastructure fosters growth. For successful companies, it organizes, simplifies and focuses people on the things that are truly important. 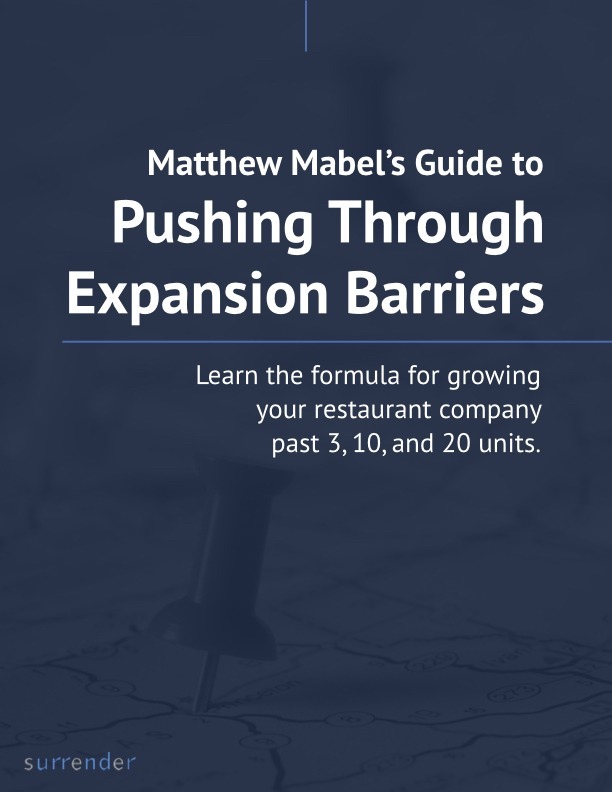 I work with multiple independent restaurant groups that are having to focus on infrastructure – slowing growth before speeding up. These owners realize that such investments mean making less money before making a lot more money. Great business leaders know the basics to get a company up and running: great concept, location, service style, and relationships with guests. But there will come a point when they want to build more units, and more wealth and the lack of infrastructure will be a barrier to that growth. By preparing properly, there will be no need to stop building units and start building infrastructure just at the absolutely wrong time – when a concept is the hottest and the opportunities for growth are ripe. On the way to growing a multi-unit organization, or just strengthening an initial unit, smart operators build appropriate culture, training, accounting, administration, information systems, and management as soon as they know they are ready to grow. These functions then evolve on a parallel track to unit growth. Results? The ability to capitalize by maximizing revenue, profit, and asset value while staying limber and ready to take on any opportunities that arise.